underway on Wednesday night with six more games including the big game of this group of matches, which takes place at Old Trafford and sees seventh placed Manchester United taking on fourth placed Arsenal in what should be an intriguing game between the teams. United come into the match having not won a game in the Premier League in three matches, drawing two of those games and losing the other to Manchester City. Arsenal on the other hand will be buoyant after their superb win over Tottenham on Sunday saw them jump above their rivals up to fourth in the table, their highest placing of the season so far. That result was also Arsenal’s 19th game unbeaten so far this season and they are one of the form teams in the Premier League at the moment, however their record against Manchester United in recent times is very poor, so it is going to be a real test for the Gunners to see if they can continue the fiery performance that they displayed against Spurs against their hosts on Wednesday. Other big games this evening see Chelsea taking on Wolves at Molineux in what could be a tricky game for Mauricio Sarri’s men with Wolves having already taken a point from games with Man City, Everton, Arsenal and Manchester United this season. Liverpool travel to Turf Moor to take on a Burnley side that they haven’t found things easy against in recent times, while Spurs will hope to get back to winning ways at home to Southampton. Here’s my tips for Wednesday night’s accumulator. This will be an emotional reunion for new Fulham boss Claudio Ranieri against the team he won the Premier League title with in 2016, but the Fulham boss won’t have any room for sentimentality against his former charges with Fulham still rooted to the bottom of the table following their defeat to Chelsea at the weekend. 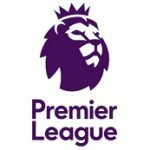 With a trip to Old Trafford looming at the weekend, this game is one Fulham will feel they must get something from and while Leicester’s performances this season have been a little inconsistent, especially against lower opposition, their sharpness recently has returned with Jamie Vardy in particular spearheading that revival. I can see this one being a game with goals as defending is neither side’s strong point, but I do feel that a draw is, just about, the most likely result here. Chelsea bounced back to winning ways over Fulham at the weekend but they face tricky trip to Molineux on Wednesday to face a Wolves side who have lost five of their last six games and who are seemingly on a bit of a downward spiral. Nuno Santo’s team only draw in that run came away at Arsenal though, and with solid performances against a number of top seven sides, Wolves will be hoping they can get back to form in a big way here. Personally, I can’t see it against a Chelsea side who badly need to win to keep on the shirt tails of Manchester City at the top of the table. This won’t be easy for Chelsea and they’ll need to be clinical in front of goal, but if they can be, I am expecting them to claim a decent win here. Everton fans will be gutted at the manner of their derby day defeat to Liverpool. In truth, they deserved at least a point and could have even won the game with the chances that they created. Newcastle were well beaten at the weekend by West Ham and this fixture is one that the Geordies have an abysmal recent record in, with Everton winning six of the last eight games between the teams by a 1-0 or 3-0 scoreline. In truth, I can see a similar result here tonight as I think the home side showed that while they may not be top four calibre just yet, they are certainly in with a shout of the top six and as a result, I am expecting a strong home win. Historically, Manchester United have a strong record in this fixture and last season, they did the double over Arsenal, but this time around things are different. United come into the game without a win in their last three Premier League games, Arsenal are unbeaten in all competitions in 19 and head to Old Trafford on the back of a brilliant 4-2 North London derby victory over Spurs in what was the best game of the season so far in the Premier League. Jose Mourinho’s problems could well grow here as Arsenal look well set to cause his United side, which is racked with injuries in defence in particular, some real problems with Aubameyang in particular in fine attacking form. This is normally a banker home win, but this time around, I fancy Arsenal to secure a rare away victory to heap the pressure on Mourinho’s men.